A couple of years ago, Discovery published an article on interstellar travel in light of the 100YSS program, at one point posing the question of whether space exploration was an evolutionary step for mankind or an insurmountable barrier, promptly linking to a piece that bets on our species’s genius, ambition and hope, and to another who doesn’t. It’s a compelling read, but regardless the article brought Interstellar to mind with this one sentence: An interstellar mission would be the most audacious act humans can accomplish, a challenge that would surpass our wildest science fiction fantasy. Well, not anymore. The premise is simple enough: mankind is facing extinction by hunger. We need to find alternatives, which in this case means another planet; and because our solar system doesn’t offer any good ones, we need to travel to another star. That’s a bit more than I knew going in and, since part of the wonder is figuring it out as the movie progresses, we’ll leave it at that. What becomes pretty obvious once the mission begins is that you’re in for a breathtaking journey. It’s a prodigious visual achievement that developed truly gorgeous concepts – the black hole and wormhole are so alluring that it really makes us wonder about the beauty in some nature’s most dangerous creations. Despite the intentional similarities to 2001: A Space Odyssey, it stays creative and fresh by its own merit. Also: the sheer scale of it is tremendous. Though exhilarating at times – I’ve never been so invested in spaceship couplings – Interstellar is an atmospheric, slow-burning sci-fi piece that gives its audience time to ponder what happens and its meaning, which also allows for good acting to come forth, such as the performances given by Matthew McConaughey, Mackenzie Foy, and Matt Damon, who portrays the most hated character of the season so spectacularly. Damon’s character takes the whole courage/sacrifice debate to a new level through isolation, and, without giving too much away, what it can do to you. And this is part of just one of the many moral dilemmas (another Nolan theme we love) Interstellar‘s characters will face. 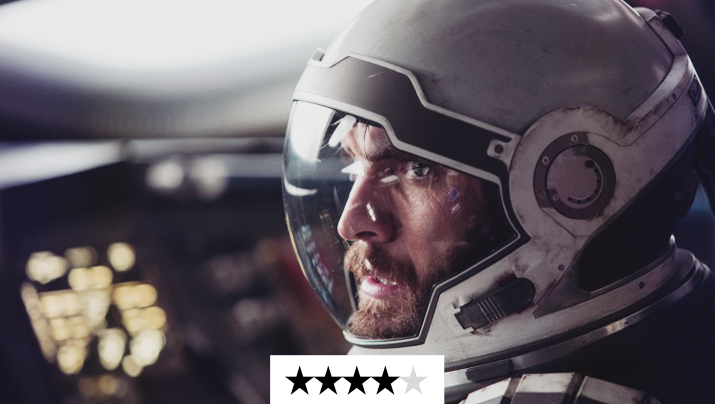 The film’s use of sound is also superbly effective in building tension, but perhaps most spectacular is the lack of it – the shattering silence of outer space. The sound of an explosion can make us jump out of our seats, but a silent one buries us in them with a devastating feeling of isolation. This was greatly explored in Gravity, and again perfectly achieved when needed in Interstellar. The use of music is a whole different story. Most of the time I didn’t consciously notice Hans Zimmer‘s score, which to me means that most of it is good. In some scenes, however, the overtly dramatic music works against its purpose of amplifying the audience’s emotions, much like Fury‘s epic battle score took the grandeur out of some good action sequences. The difference is, while the latter felt out of place, the former was trying to match its underlying scene’s tone. 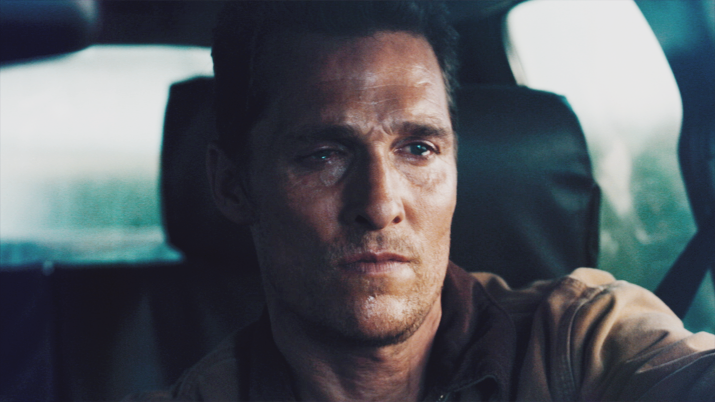 Which brings us to some of my only issues with Interstellar – the operative word being only because this really is just a fraction of it, no matter how important: the raw suffering, the heartbreak, the love conquers it all and let’s save the world narratives. Putting aside the lone hero, I could deal with the first two by saying I wasn’t in a melodramatic mood last night, but from the black hole onwards it lost me. I like that we save ourselves, and I like that what makes us human proves to be invaluable, but I found the way it was done rather cheesy and off-putting. Part of it is due to the answer itself (love) which, to say the least, surprised me; another is the pacing and the over-explaining of what was happening in that weird dimension. The film explains a lot of stuff, but it’s not the inner-workings of a wormhole that are tiresome, it’s the explaining of the obvious (for the most part, the scene easily spoke for itself). The third act just sort of fell apart, and the neat wrap-up left me with nothing to wonder about. So, in the end, a bit of mystery was in order. It didn’t have to be a mind-bender like 2001: A Space Odyssey, just have that dash of the unexplained that keeps us wondering and, as Cooper so often said, dreaming. and on the biggest screen possible. Previous Post The Top 5 Findings from October Horror: 2014 Edition! Thanks, I’ll read yours soon! Nice review! I felt like the lovey-dovey parts of the storylines at the end were sorta fitting considering that I thought the opening was a bit cheesy with some of Matthew’s dialogue. The ending left me feeling like I need to see it again to grasp the last dimension and how it all came together. Thanks, Katy! That’s true, those feelings were there from the start, but still… after all those awesome scientific theories I was not expecting love to be the answer! Yeah I feel like I should see it again for the final scenes too, it’s all a little fuzzy. I mean I get the idea, but so much happens in the third act that it got a bit confusing. Love your review here. I agree with you on a lot. The visuals were great (although Gravity sort of took away from this because I feel like I just saw such a superb space film recently that it didn’t feel quite as fresh). The sound was even better. Sometimes the score got a little overbearing in the emotional scenes but the way it was edited with the silence inter-cutting was perfect. I had reservations about the third act sequence but ultimately just went with it. Great review 🙂 Interstellar is not Nolan’s best work, but it’s definitely not his worst. It has similarities to 2001: A Space Odyssey, indeed, it also pays respectful homage to the predecessor. Yet, Interstellar is more scientifically-structured and less surrealist. I really love how Nolan assembles the casts—Mackenzie Foy was great (with her heartbreaking scene) also David Gyasi and Wes Bentley on the decks—really amazing. Yes it is more scientific, I liked that. Mackenzie Foy was really good, I was very impressed. Thanks for stopping by! Apparently I have the same taste, I wish it was a bit more bitter too!